The past president of the Canadian Medical Association says Premier Brian Gallant should spend some of his time in Ottawa Thursday pushing to change the way health transfers are made. 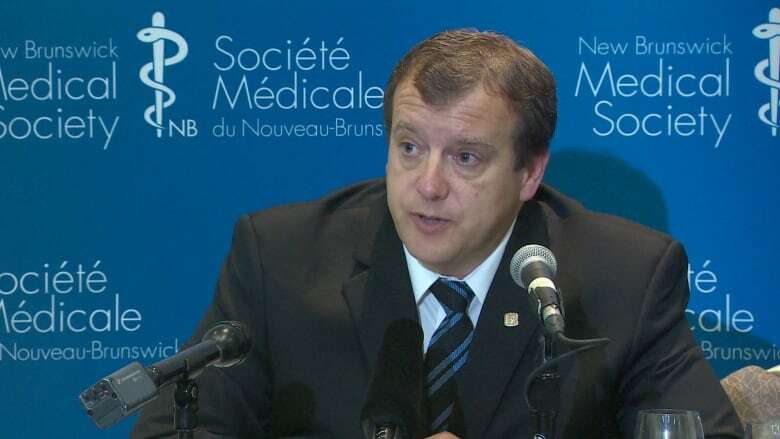 The past president of the Canadian Medical Association says Premier Brian Gallant should spend some of his time in Ottawa on Thursday pushing to change the way health transfers are made. Gallant plans to meet with Prime Minister Justin Trudeau to talk about his priorities, including the economy, education and health care. Dr. Chris Simpson said the health care discussions should focus on the association's recommended demographic top-up to the health transfer, which would reflect and support care for the province's aging population. When Canada first introduced public health care across the country, all costs were split 50-50 between the federal and provincial governments. 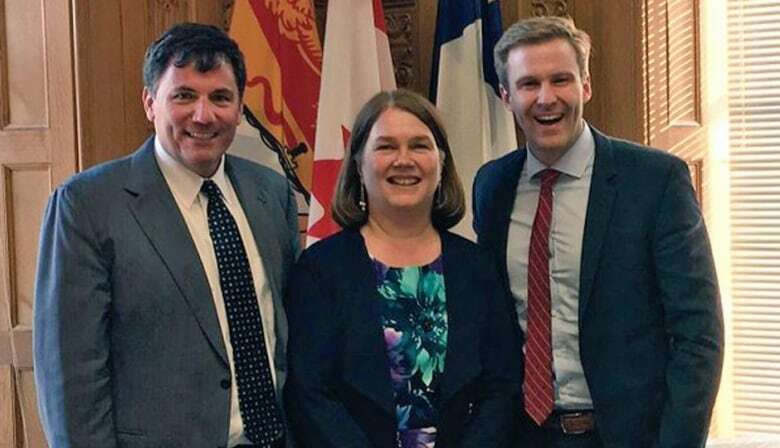 Premier Brian Gallant (right) is in Ottawa on Thursday meeting with several cabinet ministers, including Government House Leader Dominic LeBlanc and Health Minister Jane Philpott. (Brian Gallant/Twitter)Currently, each province gets funding from the federal government on a per capita basis, and payments today cover just under one quarter of provincial health care costs. "That's problematic for the Atlantic provinces, New Brunswick in particular, because we have a larger percentage of seniors here than in other provinces," Simpson said in an interview with Information Morning Saint John. "Of course it costs more to care for seniors, they use more medications, they have more illnesses, and so it winds up being a simple matter of fairness that there should be some federal transfer based on the number of seniors who live in that province." Simpson said the four Atlantic provinces could gain nearly $150 million more in annual health care funding under an age-based model and New Brunswick's share would be approximately $50.7 million. "If we don't do things differently we're going to see health care budgets continue to rise … simply because as the population ages, an increasing amount of funds are going to be required to provide health care, and that takes away from other priorities," said Simpson. In 20 years, New Brunswick's senior population will almost double. "In a country like Canada, where we've committed to some sort of basic standard across the country, the federal government must have a role in achieving that equity," Simpson said. "So if we have an older population in New Brunswick and it costs more to look after them, that has to be recognized." The medical association is not recommending that the government modify the current funding formula. Rather, it's seeking additional funding through the demographic top-up. "It's not a complete destruction of the current model … What we've done is create a model where there are no losers. Even provinces with younger populations, they're still aging as well," said Simpson. "We're not talking about taking money away from one province to give to another, we're simply talking about slowing the historical decline of the federal contribution to healthcare, and using some restoration of that contribution to achieve this equity." Last month, Canada's health minister said she was eager to draft a new health accord so the federal government can start flowing funds to help cash-strapped provinces deal with the mounting costs of care. The current federal-provincial health accord is set to expire next year.